Food is an important part of the holiday season, so why not pair your favorite dish with a book? Check out Bookmarked's list of tasty food writing options! Halloween is behind us, and I’m looking forward to the holiday season ahead. There are so many holidays crammed into the last two months of the year, like Thanksgiving (if you’re American), Hanukkah, Christmas, Kwanzaa … The list goes on! And to me, the best part of this season is the food. From baking Christmas cookies, to trying themed cocktails at end of the year parties with colleagues, to big family dinners with some of my favourite dishes. All of which pairs very nicely with one of my favourite literary themes. You guessed it: food! Food writing, culinary memoirs, novels that are somehow connected to food, I love it all. So, to me, a great way to get into the holiday spirit is to curl up with a mug of hot chocolate, a plate of baked goods, and the following seven books. I couldn’t write a list about food-themed books in 2018 without including the inaugural edition of The Best American Food Writing. 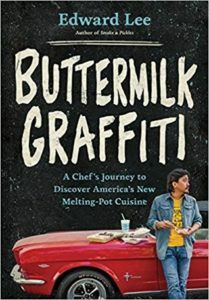 I’ve enjoyed other books in The Best American series, especially the SFF and travel writing collections, so I think its about time food writing is added to the ranks. Edited by Ruth Reichl (author of the equally fantastic Delicious! 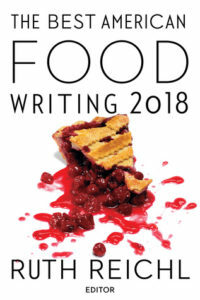 ), this collection contains twenty-eight pieces covering all corners of the food industry, from the connection of family to food, scientific developments for new snacks, and the intersection of culinary traditions and culture. If you enjoy food writing, then this is a must read. 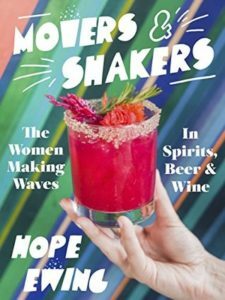 Veteran bartender Hope Ewing is looking to shake up (pun intended) the outdated perceptions of women in the alcohol industry. In this new collection, she shares the stories of women working in the field as business owners, creators, and trailblazers who are paving the way for others. I haven’t read this one yet, but I am currently on a project of my own related to the beer industry, so I’m curious to find out more about the women Ewing speaks to and about in this book. Hannah Howard’s story is about someone who loves food but struggles with that relationship. While attending Columbia University, she starts working as a hostess at Picholine, a Michelin-starred restaurant. She soon tumbles head first into the world of the food industry, and she’s eager to learn all she can. At the same time, however, she’s struggling with an eating disorder, which leaves her eating nothing but yogurt and coffee for days. 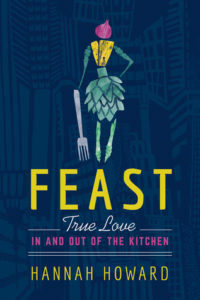 Through this memoir, Hannah works to reconcile her love of food and cooking with her competing body issues. As someone who also loves to cook, but also struggles with body image issues, I was instantly drawn to Howard’s story. I’m sure I won’t be the only one. Confession time: I love to bake, but I’m pretty terrible at it. I’ve just never clicked with it the way I have with cooking. But I have a massive sweet tooth, so I keep trying. 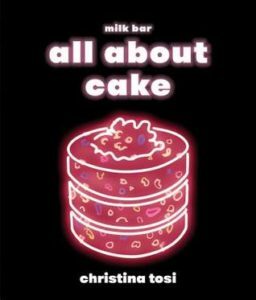 Which is why I’m so excited to see a new cookbook from Christina Tosi, owner of one of my favourite bakeries, Milk Bar. This collection contains every kind of cake you can imagine, from bundts to microwave mug cakes and more. But what really makes this book stand out is that it’s more than just a collection of recipes. It’s also a guide for bakers of all skill levels to experiment with new flavours and dream up their own cake recipes. Who knows, maybe it will contain just the right advice to make me the star baker I hope to be one day. Though some of the essays in The Best American Food Writing touch upon the intersection of food and culture, Edward Lee’s stories of his travels across America really dig into it. In a book that is part food writing and part travel memoir, each chapter shares a personal story of the food Lee eats and the people he interacts with. For example, he spends an afternoon eating noodle soup at an Uyghur café in Brighton Beach, and he makes cheese with his wife’s German-American family. As an added bonus, each chapter contains two recipes, all of which sound delicious. Seriously, I need to try out the Cornbread Pancakes with Rhubarb Jam as soon as possible. I’m closing out this list with two novel recommendations, which can be just as evocative and thought-provoking as any of the nonfiction/recipe books I’ve mentioned above. 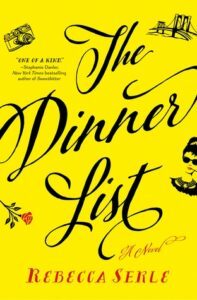 The first is Rebecca Serle’s The Dinner List. It’s likely that at some point, many of us have been asked to name five people, living or dead, with whom we’d like to have dinner. It’s an interesting question, and one that can be difficult to answer. There are just so many choices! But Rebecca Serle’s novel takes that question a step further. What if that dinner was to actually happen? Her protagonist, Sabrina, finds out when she shows up for her thirtieth birthday dinner. Not only is her best friend there, but three significant people from her past, and even legendary actress Audrey Hepburn, are present as well. What follows is a delightful, poignant, and emotional novel, perfect for anyone looking for something to pull on their heartstrings this holiday season. 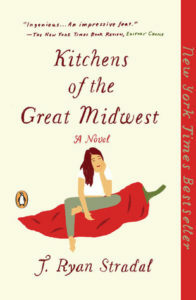 Kitchens of the Great Midwest is the oldest book on this list as it was first published in 2015, but I had to include it because it is one of my favourite novels. If you’re a fan of the movie Chef you will likely love this book too. Though rising chef Eva is the central character, this novel follows a more unconventional format. Instead of focusing on her directly, each chapter tells the story of a single character who is somehow connected to Eva and a specific dish. By the end, you’re left with the story of a mother and daughter that really explores the different ways food influences our sense of identity and how it can create a community around us.